It has been so much travel from 2012 August. Trip to US twice and then a trip to India. It was so much travelling that I promised myself to give a break to travelling for another one year. So since it has been a while I made something special, we (ansh and me) decided to treat ourselves. So here I present, simple and humble Shrikhand. Since I made it with Mango pulp it is also called Aamrakhand. Get a big spoon and dig in! Take a clean cheese cloth or muslin cloth. Spread it over a bowl and spoon the yogurt into it. Tie the loose ends together and let it hang over the kitchen sink for at least 4 hours, depending on how thin or thick the yogurt is. If the temperature is very hot outside, place the cheese cloth in the colander with a bowl underneath and keep it in the fridge overnight. 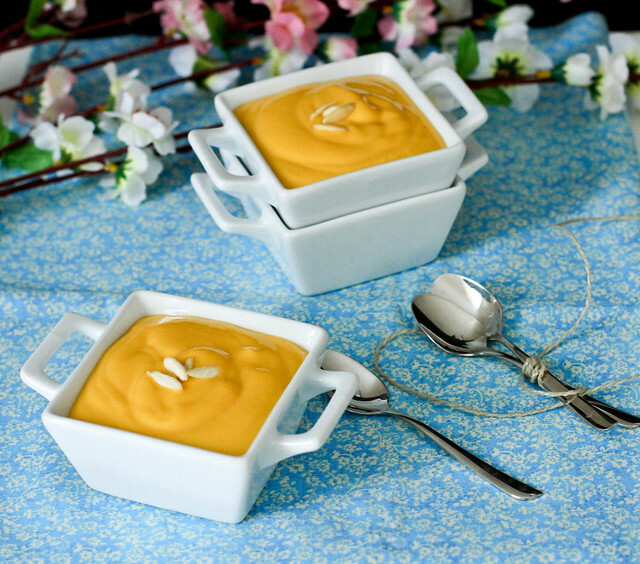 When the hung yogurt is ready, add in vanilla, mango puree, honey and sugar. Whisk with a wire whisk till sugar and honey is dissolved and you get a nice, smooth mixture. Pour the mixture into individual bowls or a single serving bowl. 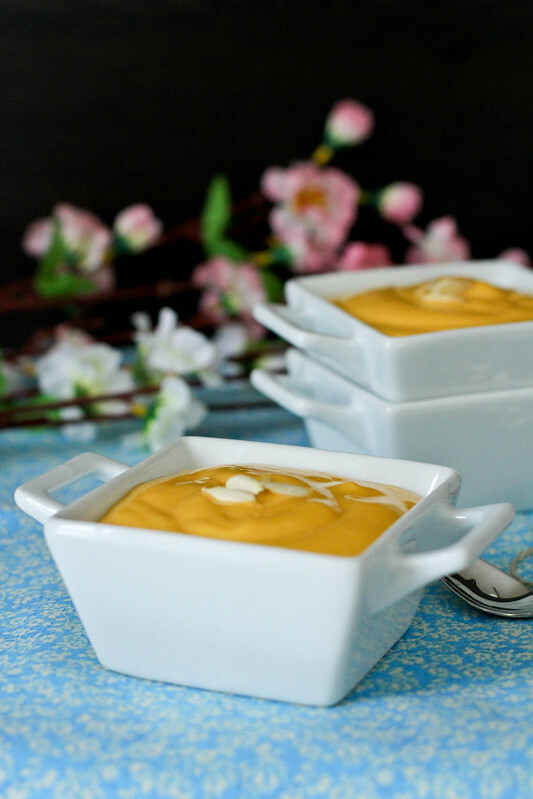 Cover and chill shrikhand for 1 or 2 hours, until it is ready to serve. Sprinkle with almonds before serving. Increase or reduce the amount of sugar/honey, depending on the sweetness of the mango. You use either honey or sugar, instead of both. For more exotic tastes you can add either saffron strands or crushed cardamom instead of vanilla. For more richness, whip a cup of cream and add it to the mixture. This is one of my favorite desserts from India. 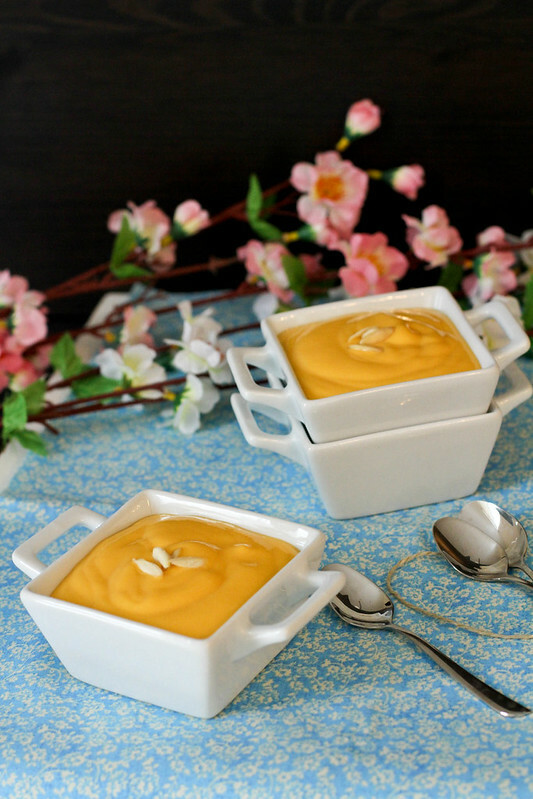 I remember having shrikhand during the hot summer days, the mango in yours makes it even better! Lovely and luscious! Wanna dig in! 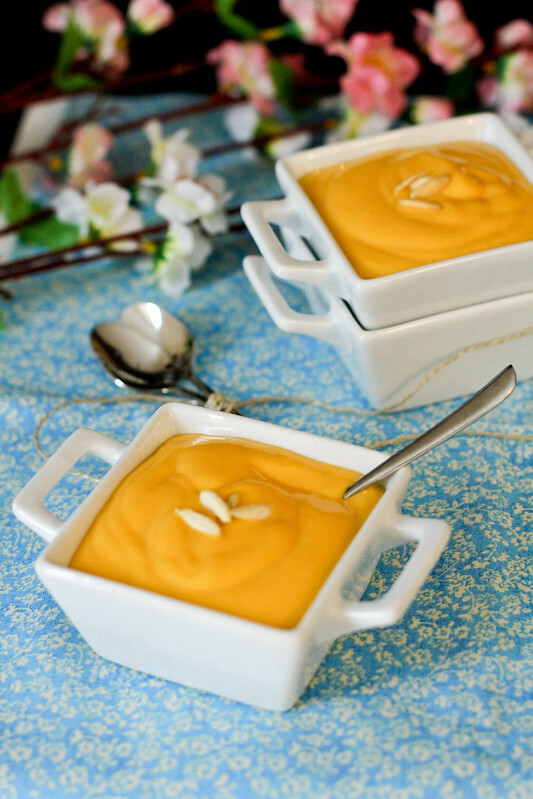 I tried this Mango Shrikhand over the week end and it came out very well. My daughter loved it . Thanks for such a simple and yet lovely recipe.